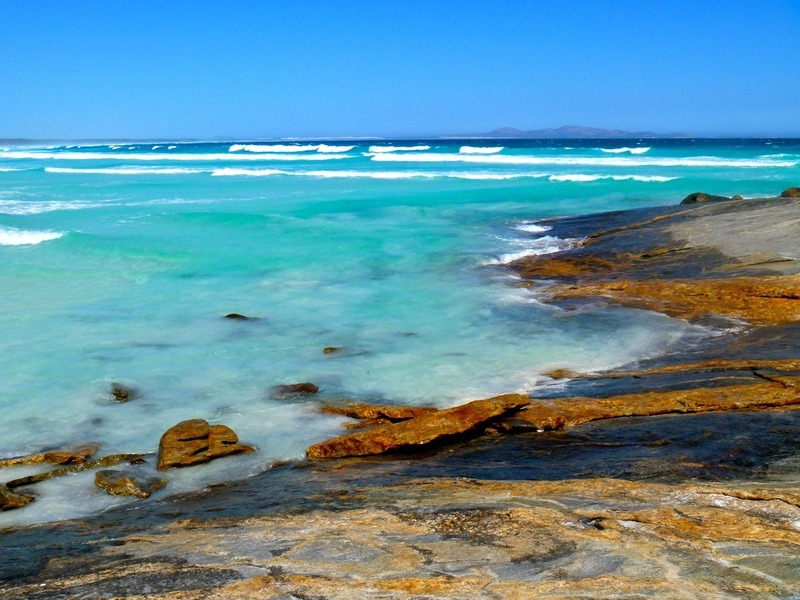 Cape Arid National park is a magical place on the south coast of Western Australia. 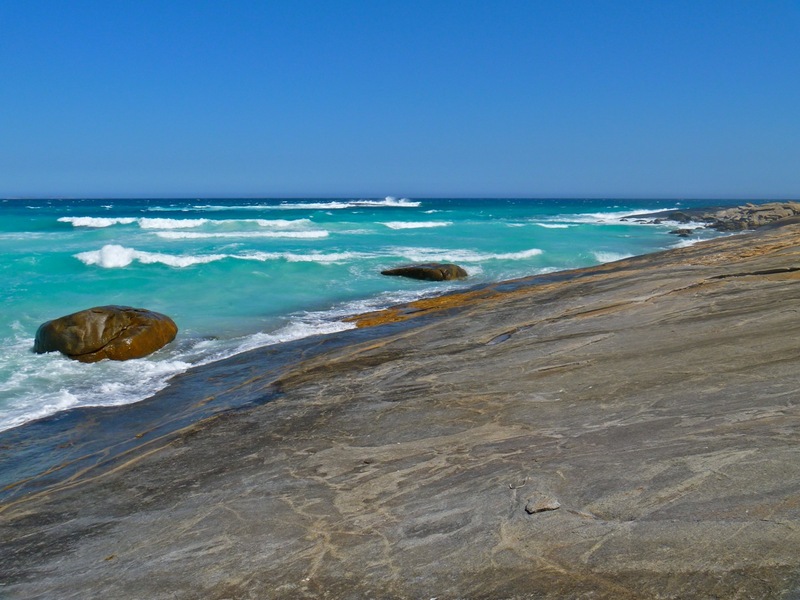 The Park is located around 120 km east of Esperance and lies on shore from the eastern end of the Recherche Archipelago. 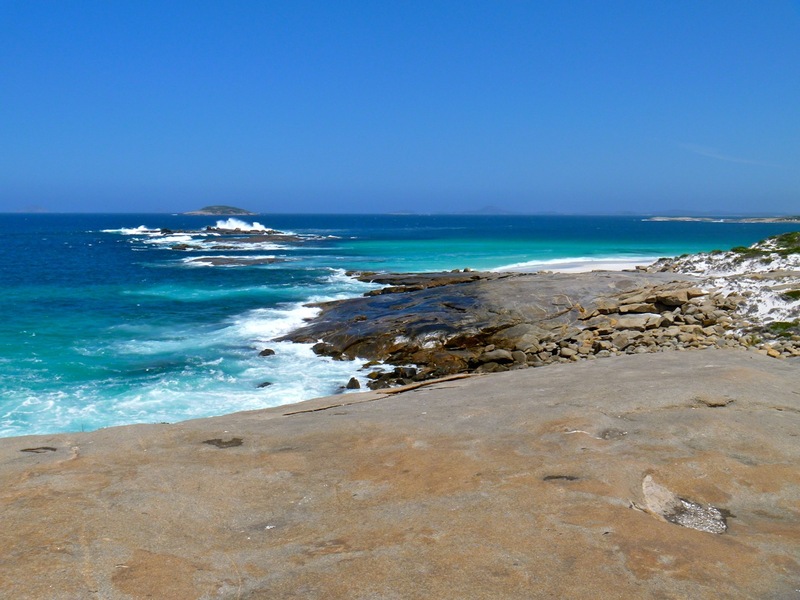 The bay at its western end is Duke of Orleans Bay, and the bay at the eastern side is Israelite Bay. 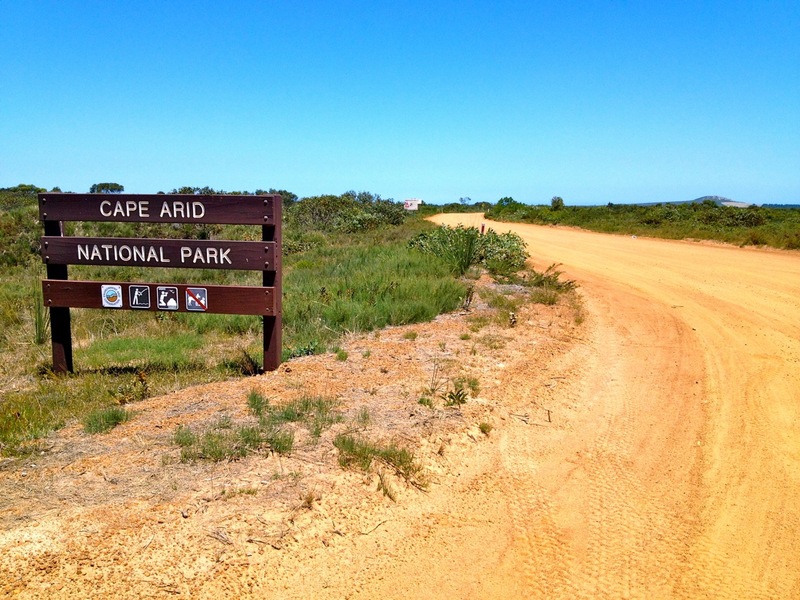 We decided to take a day trip and explore as much of the coast as we could between Cape Le Grand and Cape Arid. We started out with a quick trip into Duke of Orleans Bay. We had been here before so just passed through for fuel and to make a few quick calls home to family in Tassie (who had come very close to losing their shack in the big bushfires – but luckily all was safe). Our first stop for the day was Alexander Bay. It’s a big south-facing bay with entry points in the centre and tracks heading east and west. The Shire campground is pretty basic and there are a few long-term residents who don’t do much ‘house-keeping’ when it comes to camp sites. There were a lot of dogs, motorbikes and quads around. Out to the west we followed the beach and then some very rocky tracks to take us to the headland. There was a huge channel between the rocks and a rocky island. Three small boats were fishing in here and it looked ripe for the picking. 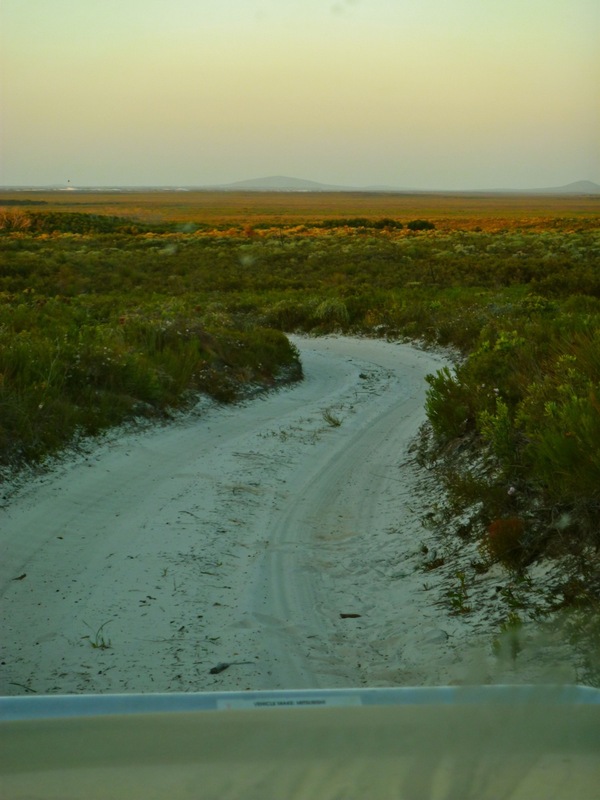 We chased some trails further around to the west towards Membirup Beach but decided to back track and explore east of Alexander Bay. There were caravans and campers scattered all the way along the beach; some in big groups and some just a solo family. We interrupted the World Series of Beach Cricket to drive through a big mob and head to the east end of the bay. From here we trekked inland and tried to find tracks to take us around to the next bay. It was not to be. The bush was full of flowering banksia which were thriving due to the local creek and obvious access to water. The tracks narrowed and then we got stuck. Reversing out of a very tight windy track without a driver’s side mirror (it got smashed off on a track near Fanny Cove) is really not easy. 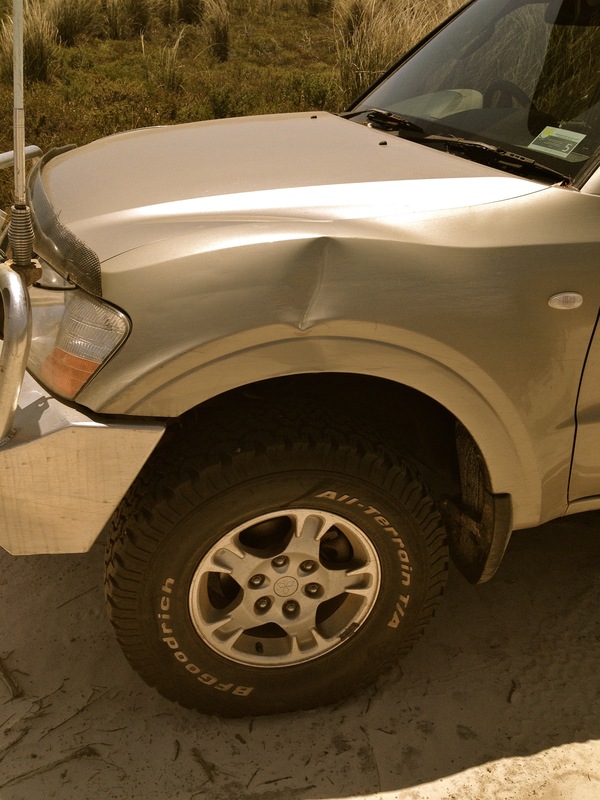 The fishing rod holder got bent backwards and the front wheel arch panel took a nasty whack and we now have a very expensive dent to fix. Bugger. We were catching trees on the fins of our boards on the roof of the car and it was getting pretty untidy. So we came out of the dunes, back on the track and headed for Fisheries Road. From the Alexander Bay turn off we continued east along Fisheries Road until we came to the Cape Arid National Park turn off. 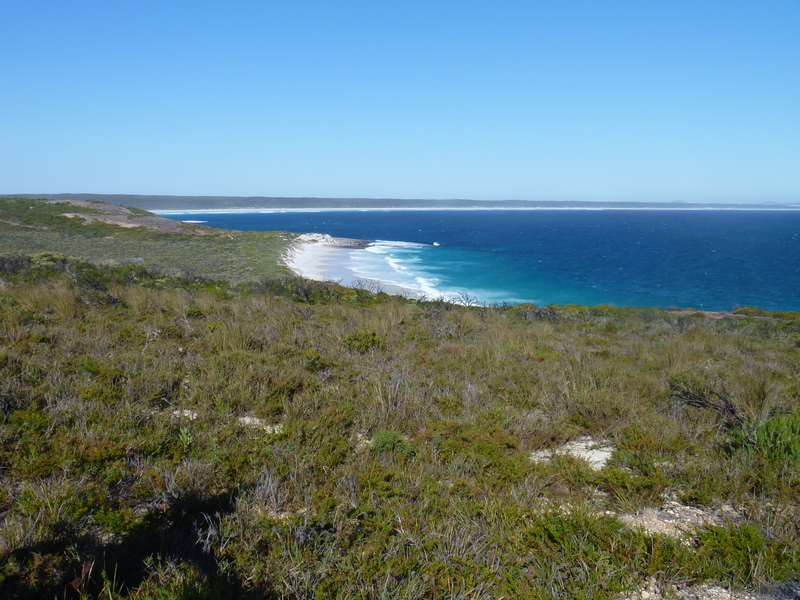 There’s a great little information bay with details of local flora, fauna, conservation activities and tracks. A few more kilometres along the road towards Thomas River and we came to the DEC’s new campground, constructed ~ 2010. This is a great campground: we will definitely be back to camp here. 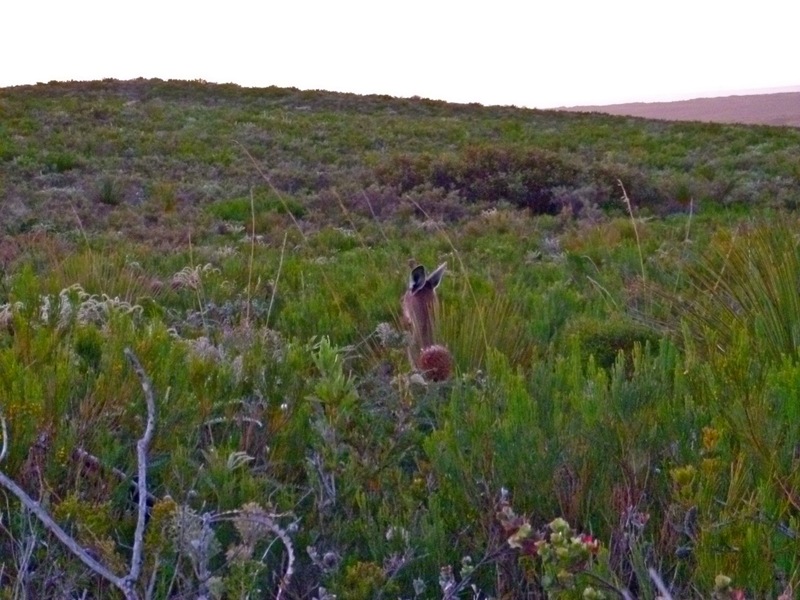 There were around 18 individual camp sites all separated by dense bush. The sites have all been levelled and narrow walk trails meander through the scrub to take you to the very clean drop dunnies. A few open-air communal camp kitchens have been built, complete with BBQ, sinks, tables and chairs. These kitchens had some of the most spectacular views. 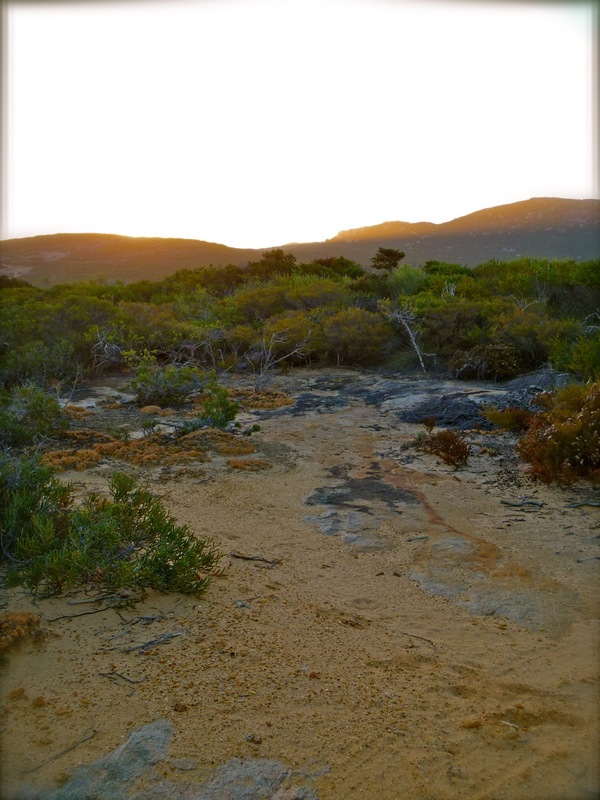 The campsite is located on top of the hill overlooking Yokinup Bay, so was quite breezy, but the scrub and bush would make each camp site reasonably protected. At the bottom of the hill near the rivermouth is the Shire’s Thomas River campground. A similar set up with older facilities but good access for swimming in the river. Personally, we preferred the campsite at the top of the hill away from potential mosquito-mayhem. It was a windy day, so we pulled up on the beach for some lunch and bit of down time. We cooked up BBQ sausages on the little gas stove in the back of the Paj and had a few cold beers to wash them down. Around to the west are a few walk trails varying from 45 minutes to a couple of hours. They take you to Little Tagon Bay, Dolphin Cove and Tagon Bay. All gorgeous spots. 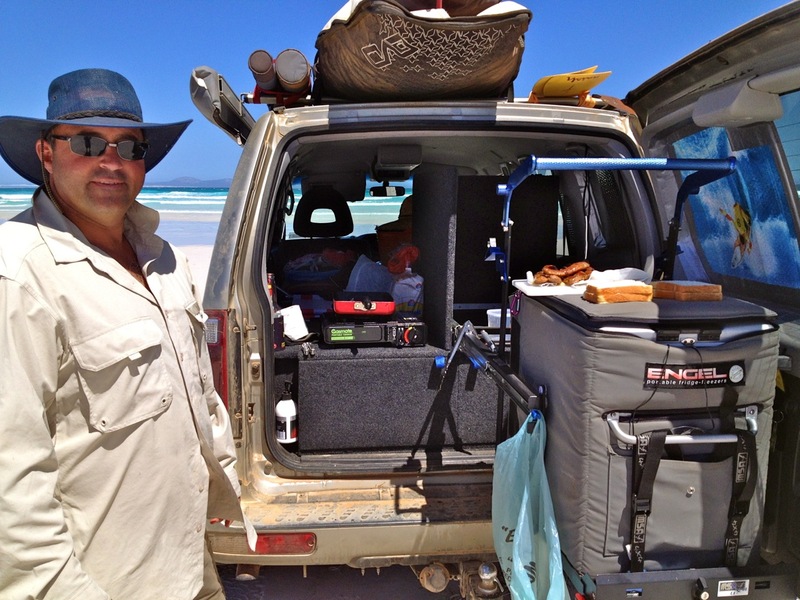 We drove down and onto the beach at Tagon Bay – there were a coupld of good camping spots set back from the water’s edge nestled into the dune. 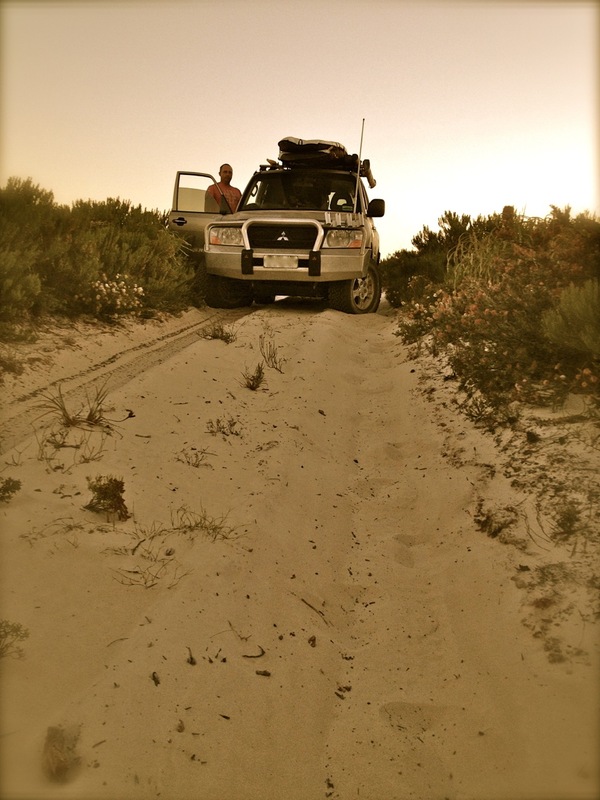 After letting down the tyres we ran the gauntlet and headed east towards Cape Arid: the only way there is along the beach. Many other cars had just arrived back and indicated the tide seemed to be coming in. We had checked the tide times and decided we had a few hours to play safe. It was a good run with only a few soft and narrow spots. 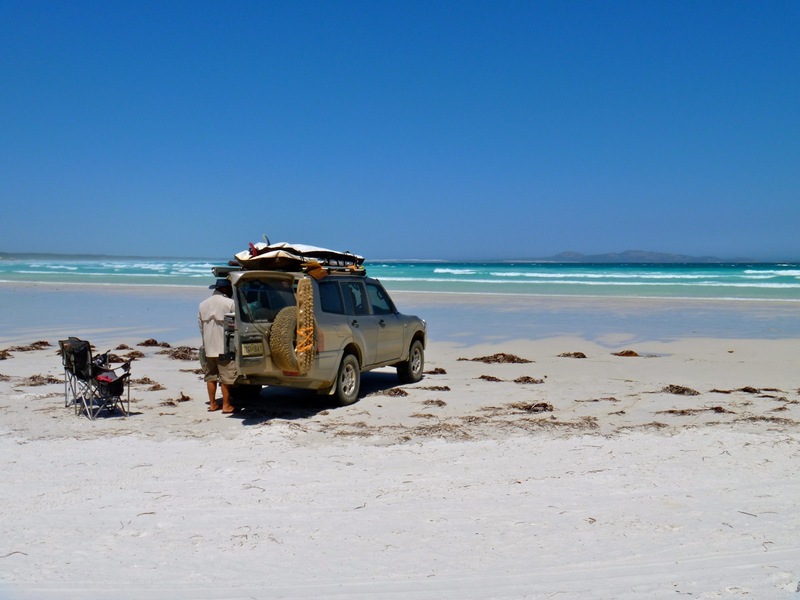 We chose a few little areas with potential for future camping and then continued on around to an awesome surf spot. The swell was BIG and the waves were pumping. There were plenty of locals out and watched in awe as they navigated the washing machine with swell and waves colliding over the rocks and reef. A few brave surfers had set up a very old camper trailer on the beach; perhaps the lure of the swell, a big surf session and plenty of beers would soften the blow of the wind hammering onto your camper canvas all night! Further around towards the Cape, Mt Arid continued to loom large. It really is an amazing sight but other than a 4 hour walk, there is no access to the peak. 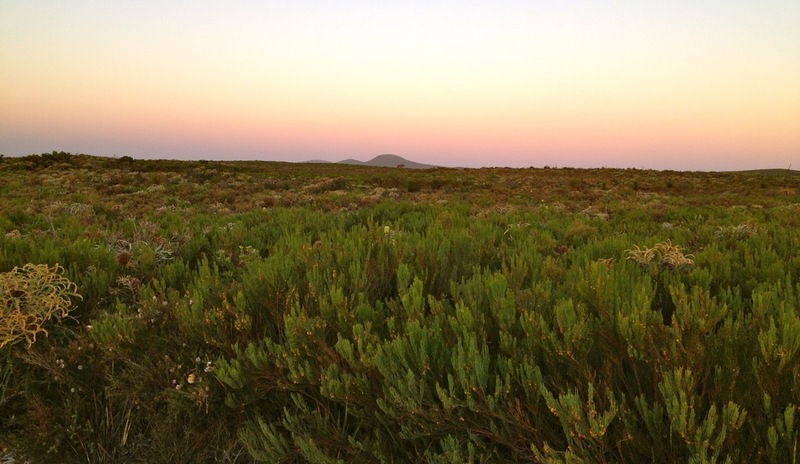 A vehicle track has been closed as part of the dieback management program. Closer to the end of the Cape we could see more camper trailers and tents nestled into the dunes and rocks; the were well protected from the wind. After an explore around it was time to head back along the beach before the tide kept us here for the night. From Thomas River we continued out along Fisheries Road (read: corrugated, narrowing, bumpy track…) to the east until we reached the Poison Creek Road turn off. From here we headed south again and meandered our way across lowlands and scrub, over a crest and down into Hill Springs. Hill Springs was the site of some of the earliest European pioneers to settle in the area. They lived in a tiny little stone cottage they built themselves and hacked a road through the bush with a shovel, a pick and a crowbar… We climbed the walk trail to see the remains of the cottage which burnt down in the 1920s. A narrower trail took us to the very isolated grave of William Ponton and a lonely look out down the hill to the ocean. At the bottom of these hills, the coast opened into a series of coves and bays (including Ferret Bay) – some of which appeared accessible only on foot. The Paj crawled over rocks, along narrow tracks and down into Thomas Fishery. This is a small cove with an even smaller campground. It could just fit two small campers or tents separated by a few bushes. There is a drop dunny and a 5m walk trail to the beach. The water and beach was very weedy and we couldn’t see the immediate attraction. 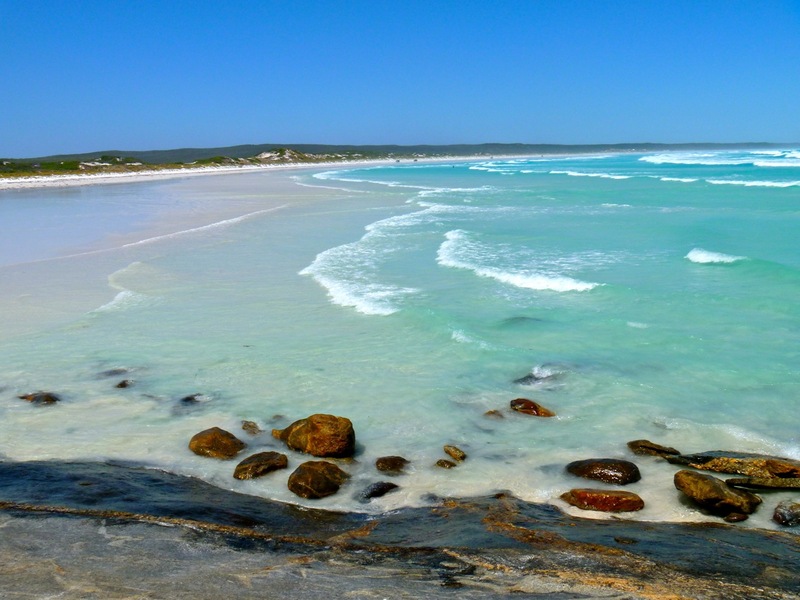 But like most other beaches along the south coast, they can be knee-deep weed one day and gleaming white sand the next depending on the swell, wind and tides. Both camp sites were taken and our presence didn’t feel welcome. By this stage in the day the sun was setting. Although we had wanted to go to Seal Creek and Jorndee Creek for a look, it was just too late and getting dark. We will save that for next time. 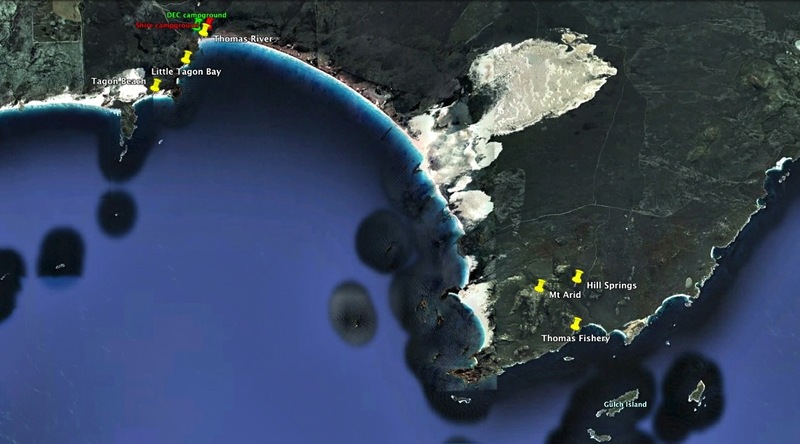 Back up Poison Creek Road and along the Telegraph Track or Fisheries Track is Point Malcolm, Point Dempster and Israelite Bay where future adventures await us! 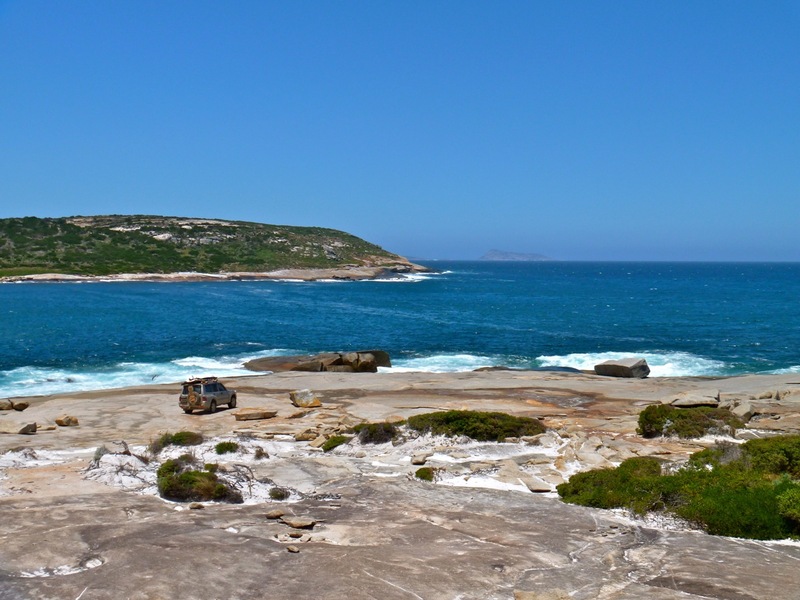 The first European to discover the area was the French Admiral Bruni D’Entrecasteaux in 1792 and he named it Cap Arride; Matthew Flinders anglicized the name in 1892 and the park took its name from this feature. Pioneer graziers arrived in the area in the 1870s and the ruins of homesteads, dams and buildings as well as gravesites can be found near Pine Hill and Thomas Fishery.